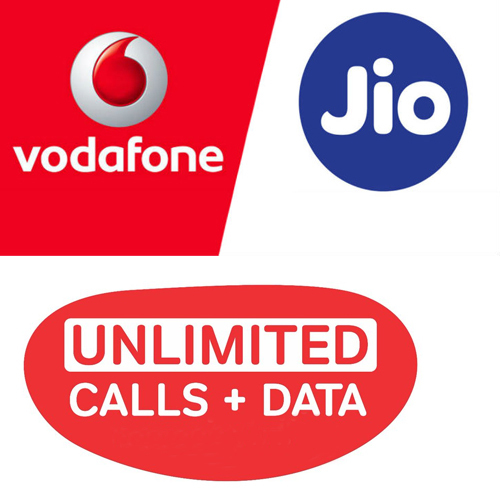 Vodafone India is now reportedly in plans to launch two new monthly prepaid packs of Rs. 549 and Rs. 799 with 3.5GB and 4.5GB data per day, respectively. The new Rs. 549 pack is likely to compete against Jio's Rs. 509 pack that is offering 3GB data per day for 28 days, while the Rs. 799 pack is apparently designed to rival Jio's Rs. 799 pack that offers 5GB data per day for the same 28 days period. Last month, Airtel also launched its Rs. 799 with 3.5GB per day data limit that pushed Jio to upgrade its Rs. 799 pack. With a daily limit of 3.5GB data, the Rs. 549 pack by Vodafone will give 98GB of 4G data for 28 days. The Rs. 799 pack, on the other hand, will offer 126GB of 4G data. The packs will also include unlimited local, STD, and roaming voice calls, as well as 100 SMS messages per day, as reported by TelecomTalk. To make the deal even pleasing for existing and new Vodafone subscribers, the new packs are also said to include a free subscription to Vodafone Play. We've reached out to Vodafone for a comment on the report.